Wish you to a happy day and weekend !! Thank you dear friends, new and old, who supported my pot of the day. I am delighted and grateful. 5* x 10 Gorgeous creations !! 5* x 3 last beauties. Happy sunday, Arief !!! 5-stars for your 8 recent gorgeous pots. Thanks, Arief! 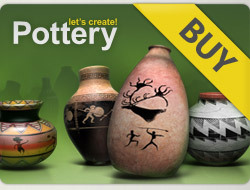 Your pots are very beautiful! I love your collection!